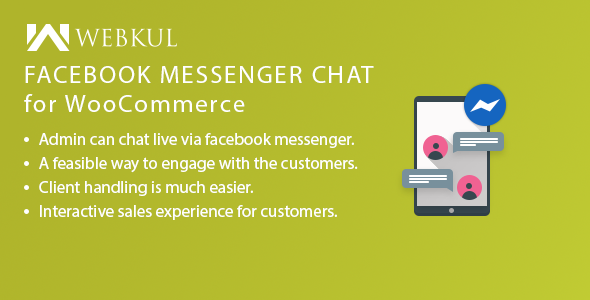 Facebook Messenger Chat for WooCommerce provides an easy and interactive sales experience to the customers. The customers can chat with the admin of a site vice-versa through facebook messenger. Admin can chat live via facebook messenger. The admin sets the domain of the page where the admin wishes to display the messenger icon. Admin can display the messenger icon on all the frontend pages such as my account, cart page, etc. A color for the messenger icon can be chosen by the admin.